Serviber GE is a powerful management and decision-making tool which simplifies and facilitates the tasks associated with energy analysis processes, thereby optimising technical and administrative resources. 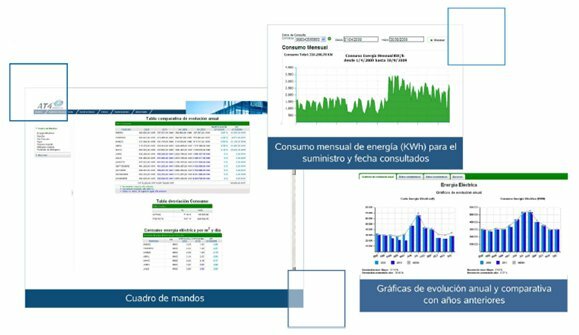 Serviber GE centrally collates all the information about energy consumption that a maintenance manager needs, enabling data to be analysed with a view to applying more energy efficient policies to the network. Management, distribution and internal diffusion of assigned energy costs by the cost centre.